I guess you will agree with me that chopping vegetables is a time-consuming task that many of us would want to skip. Of course, that’s not possible as every soup and entrée start out the same—by cutting vegetables. 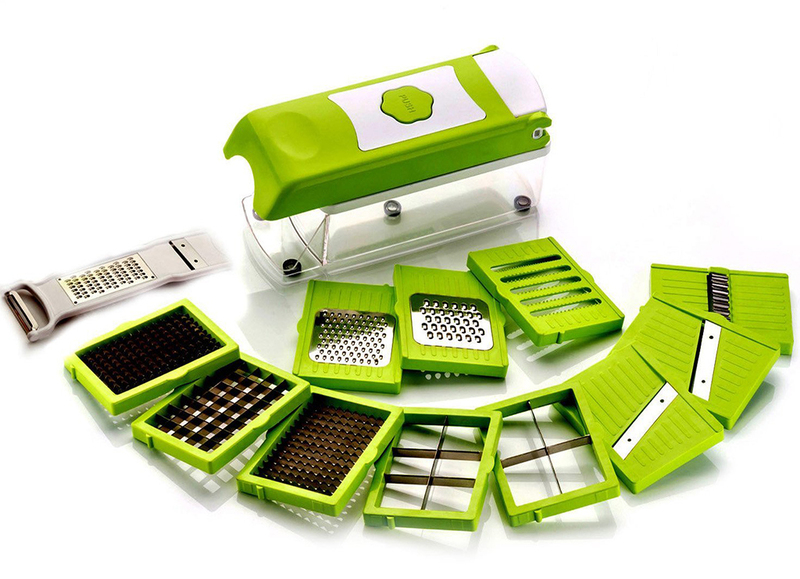 So the next best thing is to get the best vegetable chopper which you can use in making meal preparation faster and safer. And if you are a vegan, then you should have a vegetable chopper in your kitchen. It’s an essential kitchen tool for any vegetarian. There are two kinds of vegetable chopper—manual and electric. Obviously, the manual type is cheaper. It is the more portable type as there is no need to plug it into a wall outlet. It’s also ideal for campers because of the lack of electricity. Electric vegetable choppers, on the other hand, have motor-powered blade. It is the type of vegetable chopper that the elderly users will find very handy. It can also be used by people who have arthritis as they don’t have to settle for a manual vegetable chopper. Electric vegetable choppers are considered safer than their counterparts. In fact, even children can use one during those instances when they help their parents in food prep. Sure, a good vegetable chopper can cut the preparation time in half. But this would go to naught if the apparatus is difficult to clean that you would have to allot a lot of time in removing stuck vegetable bits. So like in shopping for a rotisserie oven, ease of cleaning is a top factor in choosing a chopper. In shopping for a vegetable chopper, look for one that has removable parts. The parts should also be dishwasher safe, so you don’t have to clean them up yourself. A versatile vegetable chopper can be good enough to replace some of the tools in your kitchen. For example, it is common for many manual choppers to have blades that can be used for slicing, dicing, and shredding. Electric models, on the other hand, can facilitate mincing of onion and garlic. You’ll get value for your money when you buy a versatile chopper. Before you even shop for a vegetable chopper, ask yourself this question--- are you the type of cook who processes a lot of vegetables? If so, you should look for a chopper with a large capacity. On the other hand, if you live alone then a chopper with a small container should get the job done. Like in choosing an electric knife, you should get a chopper with a stainless steel blade. Why? Stainless steel is very resistant to rust, staining, and chipping. It lasts long and can keep your food safe. Moreover, stainless steel blade will be able to easily cut through hard vegetables like potatoes and carrots. You may have gotten a chopper with the sharpest blades, but the chopper will be a waste if it lacks safety features. Most vegetable choppers have a kind of anti-slip technology designed to prevent the item from moving around as you cut up veggies. Whether you have a big kitchen or a small one, you should always consider the space you have when buying kitchen tools. Vegetable choppers may be stored in the cabinet or next to your stove. As such, don’t forget to take note of the size of the vegetable chopper before you buy one. Let’s get into the basics first—this is a very versatile vegetable chopper as it also works as a dicer, slicer, shredder, and grater. It’s a hard worker as you can use it from cubing and cutting all vegetable types to grating cheese and even cubing onions. With five pieces of stainless steel blade included in the package, a 1.3-liter built-in storage container and a cleaning brush, you will get your money’s worth with this unit. This is an easy-to-clean vegetable chopper as all its parts are dishwasher-safe. It is very durable as it is made from professional grade and heavy duty ABS plastic. It comes with a lifetime warranty from Aliskid. Storage should not be an issue with this kitchen tool as it is very compact, measuring 11.3 inches long, 4.5 inches wide and 4 inches tall. It weighs about 2 pounds. Because of the plastic material, you should check the chopper before using. The units might be broken if you press too strong. This is another compact manual vegetable chopper that you should consider getting if you have limited space in the kitchen. It measures 5.5 inches long, 5.5 inches wide and 5.2 inches tall. Because it is of the manual chopper type, it is ideal for RVs and campers. It’s also very easy to use. Simply place the vegetables or fruits in the container then twist and lock the lid. You will then have to pull the cord to spin the chopping blades. Once you are done, you should have no problems washing the bowl, the storage lid and blades as said parts are dishwasher-safe. I’ve been able to use this once, and I have to say that its build quality is very impressive. Sure, it is small and compact, but it is very durable. The pull handle, for instance, won’t easily get stuck. Its lid also snaps on tight. And the storage lid is very convenient when you store leftover salsa dip, for example. It is a great item to have in the kitchen. This is an electric vegetable chopper that looks good on any kitchen countertop. It is colored white and measures 7.6 inches long, 5.3 inches wide and 5.6 inches tall. It’s quite compact for an electric chopper. It comes with a limited two-year warranty. It has a 1.5-liter capacity, which isn’t the best in its class. Still, that should be good enough if you are preparing salsa, dips, and pesto for a few people. While it is an electric food chopper, you won’t have to be rattled in operating it as it is designed with a one-touch operation. Simply push the pulse control, and the apparatus will do its thing. It also has very sharp blades thus you don’t need to worry about chopping vegetables, onions, garlic and other ingredients. Once you are done with it, you can simply place its parts in the dishwasher. Another manual vegetable chopper makes it to our list. Like most of the choppers I’ve listed here, this is a very simple to use a chopper. You only need to press down the top of the chopper to chop the food. If you want the food to be chopped more finely, simply press it again. Made of high-quality ABS plastic, this chopper should last for a long time. It also has a non-slip design so you should be able to chop food properly without the unit skidding. I really like the compact design of this chopper. It measures 3.5 inches long, 3.5 inches wide and 10 inches tall. Suffice to say, it should fit in easily in most cabinets and drawers. This 2-in-1 chopper is compact though not as small as the item preceding it. It measures 10.5 inches long, 4.3 inches wide and 4 inches tall. It has a plastic container that should be able to hold 1.2 liters of onions, vegetables, and cheese. A lot of users say that this compact tool can be kept secure on the countertop thanks to its non-slip foot. 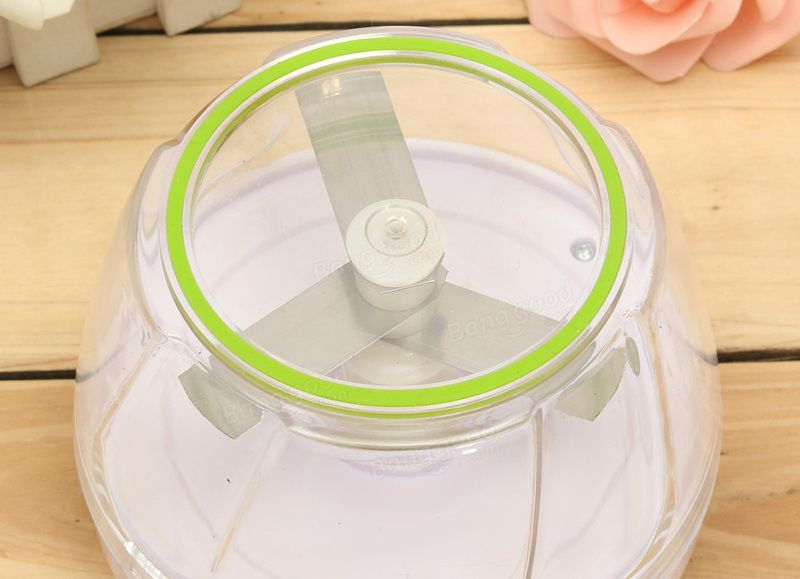 It can also protect the user from getting cut by the blades because the top lid is closed when it is operated. Speaking of the blades, these are both made of stainless steel so you can be assured of the cutting performance and durability. I also like that there is a cleaning tool that comes with the unit. You can use this in removing bits of food stuck in the blades. The parts of the chopper are also dishwasher-safe. I can guarantee you that all these vegetable choppers are high-quality kitchen tools that you won’t regret getting. Whether you are in the market for an electric or manual food chopper, the five models I mentioned above should meet your requirements. In my opinion, though, the Aliskid Vegetable Chopper is the best buy in this list. It is very versatile as it can also be used in dicing, sliding, shredding and grating ingredients. The five pieces of stainless steel blades are a great bonus, not to mention the 1.3-liter storage container and cleaning brush. How about you? 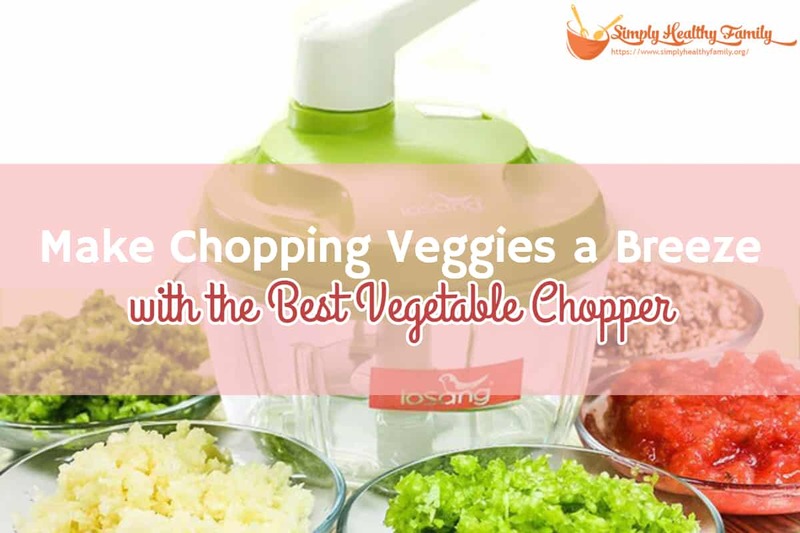 What do you think is the best vegetable chopper in this list? Write down your thoughts in the comments section below and please do share this article on your social!